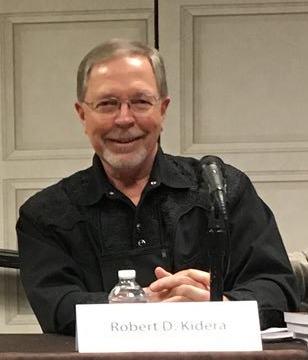 Author Robert Kidera won a regional book award for his Gabe McKenna novel, Cut.Print.Kill. 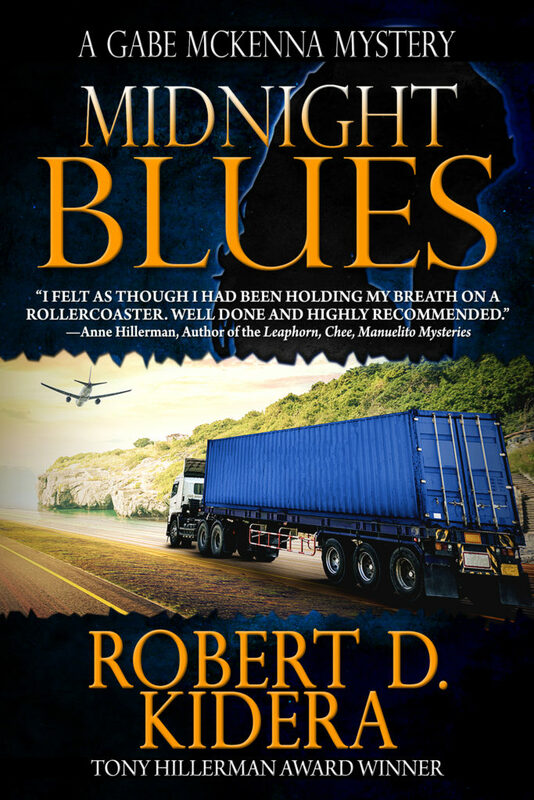 Now his new thriller, Midnight Blues, is out, featuring the same popular protagonist. Q. Cut.Print.Kill. won first place for Best Action/Adventure at the 2018 New Mexico/Arizona Book Awards. Did you have an inkling that your protagonist, Gabe McKenna, was in the running for first? I thought the book had a chance, but I’m always mindful that our area of the country is home to an incredible number of gifted writers. I did not expect my earlier books in the series to do as well as they have, either. I am always grateful to the judges and most of all to my readers for their appreciation of my work. That said, I don’t write to win awards, rather I write because I feel compelled to write and enjoy the experience so much. Q. What is more exciting, winning first place or seeing your next book in print for the first time? I’m a father as well as an author and I can say that my books are like my children, in a way. You love them all. Winning the Hillerman Award for Red Gold, my first book, was an overwhelming and unexpected experience. It presented me with the challenge of making each of my subsequent novels better than the first. So that’s what I try to do. Q. Tell us a bit about who Gabe is—to your readers, and to you. Gabe is an anachronism. He is rooted in the older-fashioned values. He tries to live by a moral code. He has a clear sense of right and wrong. That said, he is a man with serious weaknesses as well who often misses the standard he’s set for himself. To his credit, while he may be a man that gets knocked down, he never stays down. And he’s got some smarts and some backbone. A bit of Indiana Jones about him. Q. Are your books traditional mysteries or thrillers? Even my publisher and Amazon don’t quite know how to categorize my novels! LOL. They are listed under mystery, suspense, amateur sleuth, action/adventure. There are hard-boiled elements in my novels as well. I really don’t think in terms of marketing when I write. I spend time on the stories but even more time with my characters. And my style is rather retro, though not by design. I guess that’s just the way I am myself. Q. Where did you get the idea for Midnight Blues, your latest novel? From today’s news. I became more aware of the terrible blight of human trafficking, of young people disappearing from pueblos and reservations, of the involvement of cartels in an underworld of crime that surrounds us. Something must be done. So, I sent my protagonist Gabe McKenna into action, fictionally speaking. And I am donating part of my profits to groups that combat these problems in New Mexico and nationally. Q. Do you prefer long form writing over short form? Mark Twain once said, “I didn’t have time to write a short letter, so I wrote a long one instead.” To become a successful author, I’ve had to overcome my tendency to be a windbag. I write long form novels, but try to make each word count, to trim the non-essentials, to keep things moving and changing. It’s an ongoing process for me. Maybe someday I’ll write a short story when I have that skill. In either case, I always try to write cinematically. I visualize every scene, look at it from different visual and emotional angles, and try to inhabit it. Then I write it from the inside-out. I am currently working on the fifth (and final, for now) Gabe McKenna novel, On Beyond Midnight. It’s the story of what happens to Gabe after the events of Midnight Blues and will bring some closure to the story arcs of the series. I have also begun intense research into my first stab at historical fiction. It’s called Hell Ship and tells the story of a young New Mexican teenager who anticipates World War II, enlists in the Navy a few months prior to Pearl Harbor, and is sent to the Philippines where he becomes a prisoner-of-war for three years. It’s about enduring unspeakable hardship during the war and the daunting task of returning to the world of his youth that no longer exists. –Stephanie Hainsfurther conducted this interview.